So how was your weekend? After a fun and busy Friday I started the weekend on a bit of a low because I had a really rubbish run that evening. Rubbish because I started off really fast but after 3km got a stitch that I really couldn't run through so had to stop and go home. So for the first time in months I had a weekend off running. I had lots of fun. Saturday night it was dinner and cocktails and the next day a lovely Sunday roast with friends. But now I am feeling positive and ready to run again. Half marathon training here I come! Here is a cocktail photo. 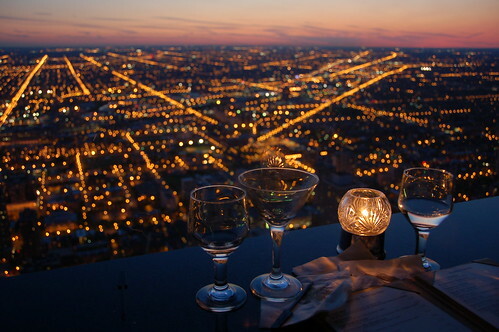 I am sure the drinks are lovely too but just check out that view. Now there's a place to relax and hang out on a Saturday night.